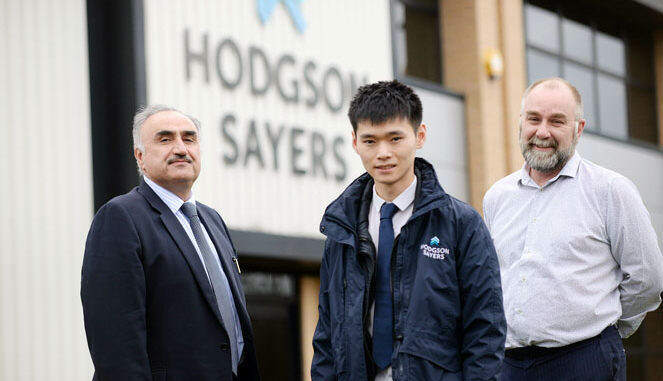 Building and roofing specialist Hodgson Sayers is expected to turn over an extra £10m in revenue over the next three years as a direct result of the Knowledge Transfer Partnership (KTP). He was supervised by Professor Nashwan Dawood (above left) , an internationally renowned expert in BIM, from the university’s School of Science & Engineering. It has also used the same approaches to proactively design a new range of security doors which are expected to bring in a further revenue stream. Hodgson Sayers financial director Mike Wade (above right) said: “The KTP has massively improved the company’s operations. “As a business within the construction sector, changing management practices can be challenging. However, the KTP has allowed a more collaborative and cross-generational acceptance and understanding which has galvanised and quickened cultural change and encouraged more open thinking. “The embedding of BIM capability and philosophy has enabled the company to integrate and improve operations propelling us to Tier 1 contractor status and has allowed the effective design and manufacture of patentable new products,. Over recent years, of the KTPs undertaken by Teesside University, 75% have been awarded the top two grades, with 62% graded ‘Outstanding’, which compares with national averages of 58% achieving the top two grades and 17% graded Outstanding.